A simple, ultra-sensitive microRNA sensor, developed and tested by researchers from the School of Science at Indiana University-Purdue University Indianapolis (IUPUI), the Indiana University (IU) School of Medicine, and the IU Melvin and Bren Simon Cancer Center, holds promise for the design of new diagnostic strategies and, potentially, for the prognosis and treatment of pancreatic and other cancers. In a study published online on October 7, 2015 in an open-access article in ACS Nano, a peer-reviewed journal of the American Chemical Society focusing on nanoscience and nanotechnology research, the IUPUI researchers describe their design of the novel, low-cost, nanotechnology-enabled, re-usable sensor. They also report on the promising results from tests of the sensor's ability to identify pancreatic cancer or indicate the existence of a benign condition by quantifying changes in levels of microRNA signatures linked to pancreatic cancer. 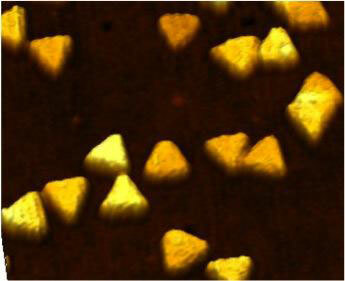 The ACS Nano article is titled “Label-Free Nanoplasmonic-Based Short Noncoding RNA Sensing at Attomolar Concentrations Allows for Quantitative and Highly Specific Assay of MicroRNA-10b in Biological Fluids and Circulating Exosomes.” MicroRNAs (miRNAs) are small molecules of RNA that regulate how larger messenger RNA (mRNA) molecules lead to protein expression. As such, miRNAs are very important in biology and disease states. "We used the fundamental concepts of nanotechnology to design the sensor to detect and quantify biomolecules at very low concentrations," said Rajesh Sardar, Ph.D., who developed the sensor. "We have designed an ultra-sensitive technique so that we can see minute changes in miRNA concentrations in a patient's blood and confirm the presence of pancreatic cancer." Dr. In a "look-back" analysis of data stored on 130 patients with pancreatic cysts, scientists at Johns Hopkins have used gene-based tests and a fixed set of clinical criteria to more accurately distinguish precancerous cysts from those less likely to do harm. The findings may eventually help some patients in real time safely avoid surgery to remove harmless cysts. A report on the findings is published in the November 2015 issue of Gastroenterology. The article is titled “A Combination of Molecular Markers and Clinical Features Improve the Classification of Pancreatic Cysts.” Currently, doctors must test fluid collected from a needle that penetrates the cyst during a procedure called an endoscopic ultrasound-guided biopsy. The fluid is tested for levels of proteins associated with cancerous cysts, and pathologists look for atypical cells signifying cancer. However, recent studies show that these current methods are accurate only 63 percent of the time, says Anne Marie O’Broin Lennon (photo), M.D., Ph.D., Associate Professor of Medicine at the Johns Hopkins University School of Medicine and Director of the Multidisciplinary Pancreatic Cyst Program at Hopkins. In addition to Dr. Lennon, the senior author, famed Hopkins physician scientists Bert Vogelstein, M.D., Kenneth Kinzler, Ph.D., Ralph Hruban, M.D., Nickolas Papadopoulos, Ph.D., and Luis Diaz Jr. M.D., were among the article co-authors,. The first author was Simeone Springer, a Hopkins graduate student in human genetics. The 2015 Albert Lasker Basic Medical Research Award honors two scientists for their discoveries concerning the DNA-damage response, a mechanism that protects the genomes of all living organisms. 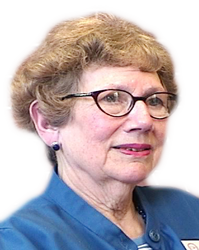 Evelyn M. Witkin (photo), Ph.D., (Rutgers University), now 94, established its existence and basic features in bacteria, and Stephen J. Elledge, Ph.D., (Brigham and Women's Hospital) uncovered its molecular pathway in more complex organisms. The details of the two systems differ dramatically, yet they share an overarching principle. Both coordinate the activity of a large number of genes whose products shield creatures from potentially lethal harm. Throughout their lives, cells withstand an onslaught of insults to their DNA. External agents such as chemicals and radiation bash it, and it also sustains abuse from within when normal physiological processes blunder. In humans, such events deliver tens of thousands of genetic wounds every day. The DNA-damage response detects not only DNA anomalies, but also other dangers, such as interruptions in the DNA-copying process. Living creatures then implement a multi-pronged strategy to ensure survival. Bacteria, for instance, ramp up their DNA-repair capabilities, halt cell division to provide time to mend damage, and amplify their mutagenic facility. At first glance, the third activity might seem to conflict with the first two, but evolution has covered many bases—boosting the microbe's ability to fix DNA and also increasing variation within the population, thus enhancing adaptability. Like bacteria, mammalian cells construct DNA-repair equipment and arrest division when they detect genetic peril. In addition, when the extent of injury overwhelms DNA-restorative capacities, the DNA-damage response sparks cell suicide. For inventing a completely new way to strike cancer by unlocking a shackled immune system attack, Jim Allison (photo), Ph.D., Chair of Immunology at The University of Texas MD Anderson Cancer Center, has been awarded the nation’s highest honor for clinical medical research. Dr. Allison was named the 2015 winner of the Lasker-DeBakey Clinical Medical Research Award from the Albert and Mary Lasker Foundation. The Lasker awards, in their 70th year, honor major achievements in basic science, clinical research, and public service around the world. Dr. Allison was presented with the prestigious award at the 2015 Lasker Awards ceremony held on September 18 in New York City. Each Lasker Award includes an honorarium of $250,000. “I’m honored and grateful to receive the Lasker Award. As a basic scientist, I was pleasantly surprised, really kind of stunned, to receive the clinical award,” Dr. Allison said. “This award is also important recognition of the early success of cancer immunotherapy and its great potential to extend survival of cancer patients for decades and ultimately to cure some types of cancer.” “Jim Allison found a way to remove the brakes that stop T cells from fighting tumor cells – a discovery that opens brand new and very effective ways to treat cancer,” said Joseph Goldstein, M.D., Chair of the Lasker Medical Research Awards Jury, Nobel Laureate, and Chair of Molecular Genetics at The University of Texas Southwestern Medical Center in Dallas. Dr. Allison’s research into the biology of T cells, white blood cells that serve as the immune system’s customized guided weapons, led him to develop an antibody that blocks an off switch on these cells, unleashing an immune response against cancer. Codiak BioSciences, Inc., announced today (November 17, 2015) the closing of the first portion of a planned $80+ million Series A and B financing. The company also executed license and sponsored research agreements with The University of Texas MD Anderson Cancer Center in Houston. Leveraging recent advances in the biology of extracellular vesicles (EVs) and their role in intercellular communication, Codiak aims to become the world's leading company in developing exosomes as a new therapeutic and diagnostic modality for the treatment of a wide array of diseases, including cancer. The company is founded in part on technology developed in the laboratories of Raghu Kalluri, Ph.D., Professor and Chairman of the Department of Cancer Biology, MD Anderson. Dr. Kalluri and his colleagues have demonstrated that exosomes derived from normal cells can act as a potent and safe delivery system for multiple therapeutic payloads. Exosomes – small sub-cellular vesicles that leave cells and travel throughout the body – can mediate dramatic effects in animal models of disease. Dr. Kalluri's work with exosomes involves discoveries related to identification of double-stranded genomic DNA, exosome microRNAs and their biogenesis, exosome proteins, identification of cancer-specific exosomes and exosome-mediated therapies. Codiak is co-founded by Eric Lander (photo), Ph.D., President and Founding Director of the Broad Institute of the Massachusetts Institute of Technology and Harvard University. Dr. Lander is also Professor of Biology at MIT and Professor of Systems Biology at Harvard Medical School. His experience in molecular and computational analysis of the genome will be of great value to Codiak as the company explores the depth and reach of the diagnostic and therapeutic applications of exosomes. Dr. Lander will serve on Codiak's Board of Directors. A simulation method developed in Spain allows the study—with unprecedented accuracy—of structural changes in DNA and of the interaction of DNA with proteins and drugs. Molecular dynamics is a technique that allows the simulation of DNA movement, its folding into double, triple, or quadruple strands, and even its interaction with proteins and drugs. Molecular dynamics is used to address the processes that occur over time scales ranging from picoseconds to minutes and it can be used for molecular systems of various sizes, from few nanometers to a meter. Headed by Modesto Orozco, Ph.D., the Molecular Modelling and Bioinformatics Lab at the Institute for Research in Biomedicine (IRB Barcelona) is developing several theoretical methods to better understand the behavior of bio-macromolecules, in particular nucleic acids, on a wide spatial-temporal scale and with a focus on biomedical and biotech applications. The group has just published a new model in Nature Methods in an online article dated November 16, 2015. 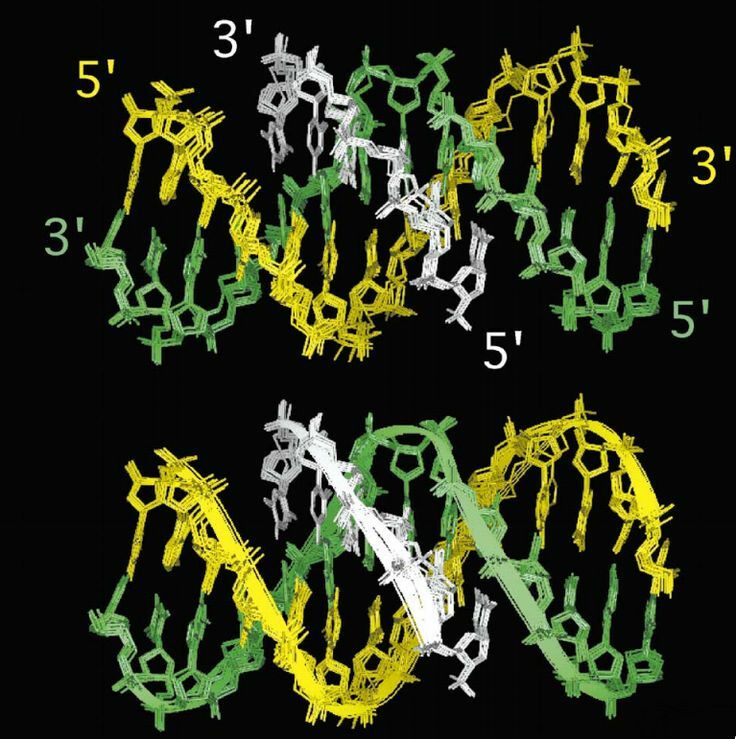 Developed in collaboration with the Barcelona SuperComputing Center (BSC) and laboratories in England and the US, this model allows atomic-level simulations of DNA dynamics and, to the great satisfaction of the researchers,“with extraordinary accuracy”—an achievement that has taken five years of work and the testing of more than 100 DNA systems. The Nature Methods article is titled “Parmbsc1: A Refined Force-Field for DNA Simulations.” The data are stored in a public website that currently holds more than 4 Terabytes of information: http://mmb.irbbarcelona.org/ParmBSC1/. This web site is accessible through the Spanish Institute of Bioinformatics (INB) and the ELIXIR-Excellerate network, the largest collection of life sciences data in Europe, to which IRB Barcelona contributes.